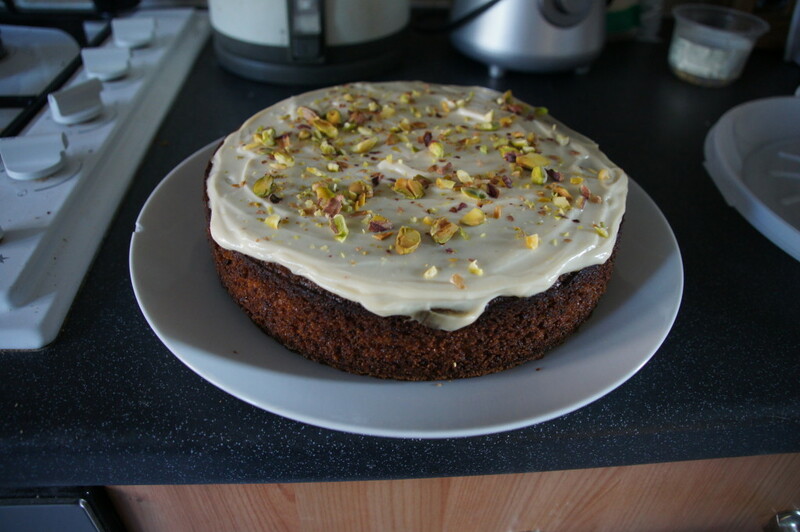 My only disappointment with this cake was that my icing was no-where near as runny as that in the photo of the website I found the recipe on. You will need a 20cm springform cake to make this cake. 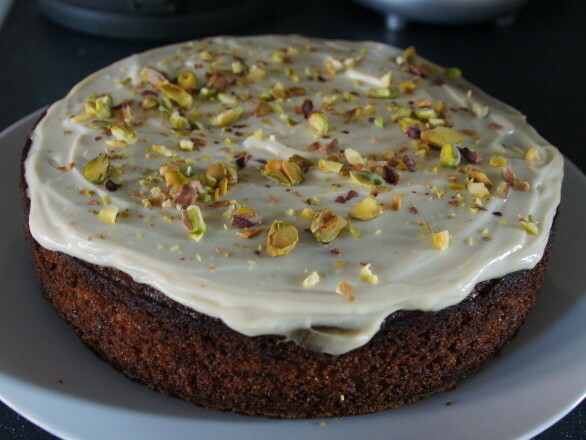 My top tip for the strawberry and pistachio cake was to if possible buy shelled pistachios and exactly the same applies here as by the time you’ve shelled 250g of them you will really of had enough! 1) Preheat your oven to 200°C/Fan 180°C/Gas 6. Grease and line the base of a 20cm springform cake tin. 2) Put the butter, yoghurt and sugar into a bowl and cream together until light and fluffy. 3) Blitz the pistachios to dust in a food processor (don’t blitz them too much or they will turn to butter.) 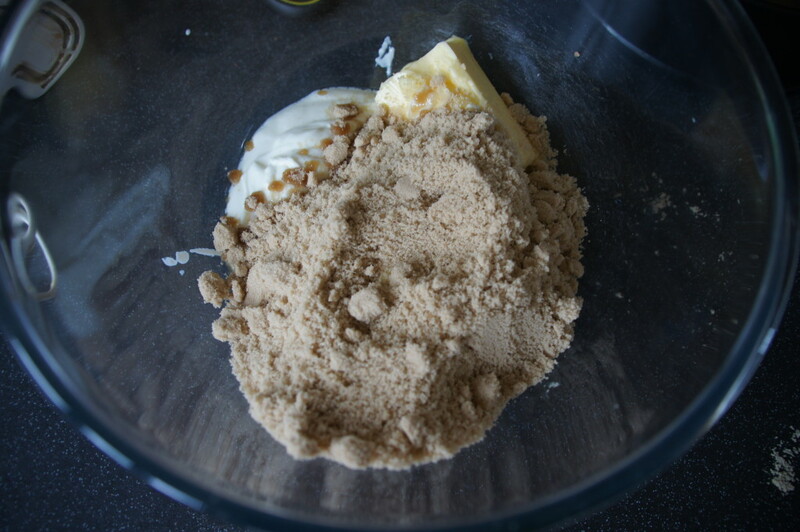 Add the blitzed pistachios, polenta, baking powder and lemon zest and juice to the butter mixture and mix well. Then crack in the eggs, one by one, and mix in. 4) Pour into the cake tin and bake for 45–-50 minutes, until a skewer comes out clean. Remove from the oven and leave to cool in the tin. Make a few holes in the warm cake with a skewer, then gently pour the elderfower cordial slowly over the cake, allowing it time to seep in. 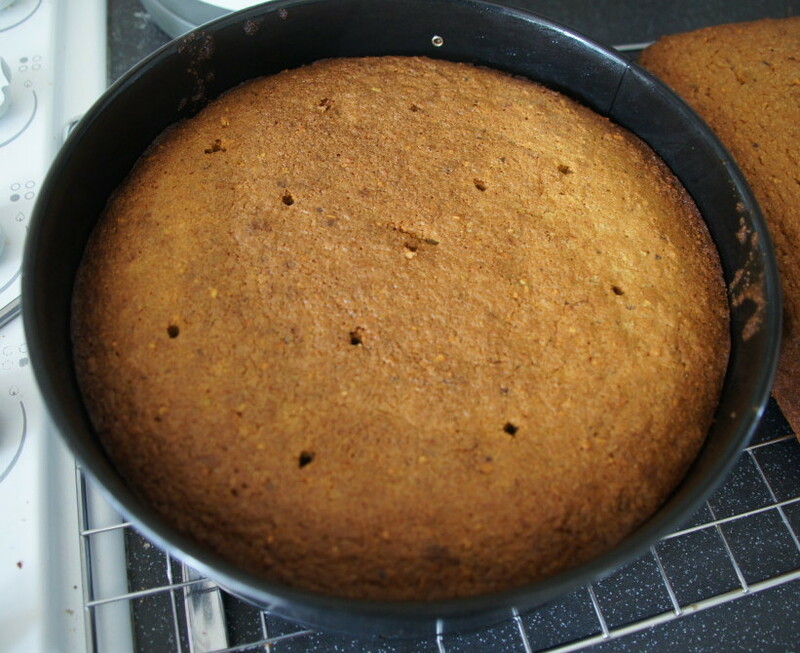 Leave the cake in the tin until cool enough to transfer to a cooling rack. 5) For the icing, mix the yoghurt, icing sugar or honey and elderfower cordial until smooth. Spread over the cooled cake and top with the pistachios. This looks really nice! I am a massive fan of the Anna Jones cookbook, have you made anything else from it?